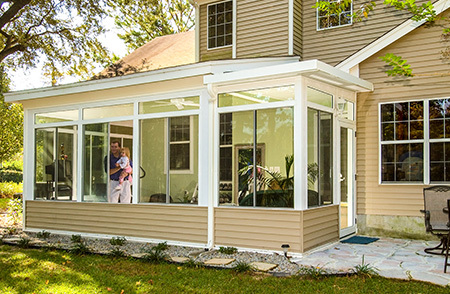 SRA Home Products invites homeowners in the New Castle County, Delaware, area to browse our impressive selection of outdoor rooms. Whether you’re looking for a place to host family gatherings, or simply a quiet area to relax with a good book, our outdoor rooms offer you much-needed additional living space. The thermal wall systems feature sag-resistant welded corner seams, as well as a dual vinyl bulb seal that protects against the elements and annoying pests. 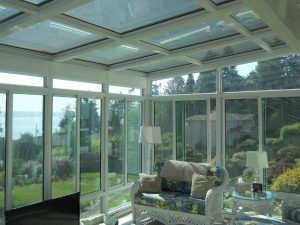 The thermal roofs are constructed using an interlocking roof panel connection system that offers structural integrity, longevity, and resistance to leaks. They come with TEMO’s exclusive TEMKOR polymer coating, which guards against warping, denting, cracking, peeling, scratching, fading, and chalking. In fact, our outdoor rooms are certified to meet national engineering standards and have even met the standards for high winds of up to 110 miles per hour. You’ll feel confident knowing that your new addition can stand up to whatever Mother Nature throws its way. If you’re interested in adding one of our state-of-the-art outdoor rooms to your New Castle County, DE, home, please contact SRA Home Products today. We’re a second-generation family-owned and -operated company, and we’re proud to have earned the Better Business Bureau’s prestigious A+ rating. 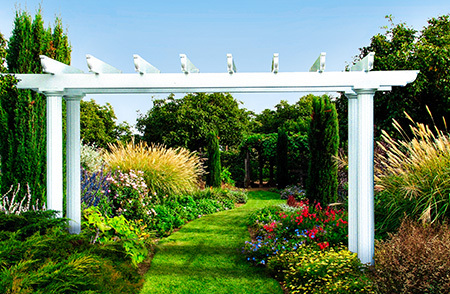 Let us show you why we’re the leading outdoor living company in the Delaware Valley.